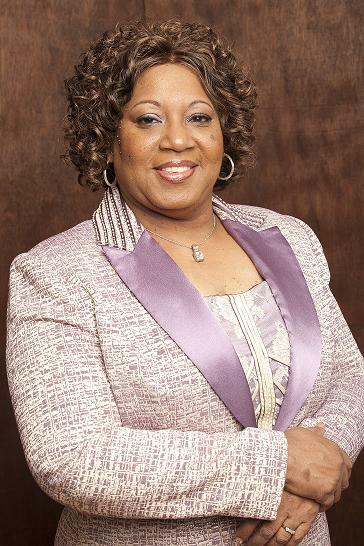 Pastor, Author, Prophet, Teacher and Recording Artist are some of the words that describe Regina Burrell, Co-Pastor of Praise Temple Evangelistic Church, located in DeSoto, Texas. Worship is what Pastor Burrell does and it’s who she is! Strongly motivated as an exhorter-prophet mix, she has led thousands into the Holy of Holies where they have found deliverance, healing and restoration. As an author you will find her contribution titled, “Will the Real Mothers Please Stand Up”, in “Talitha Cumi; Mothers of the Nations Arise” book, published by Habakkuk Publishing. Pastor Regina is concerned about the whole man and is dedicated to helping people through her proven ministry of health and fitness for the Body of Christ at large. Actively involved as guest speaker/recording artist for various organizations, Pastor Regina is sought out for conferences, seminars and workshops. Pastor Regina is the wife of the anointed and distinguished Bishop Terence Burrell.